Fig. 2. Experimentally verified BMPR2 mutations are indicated on the BMPR2 gene. 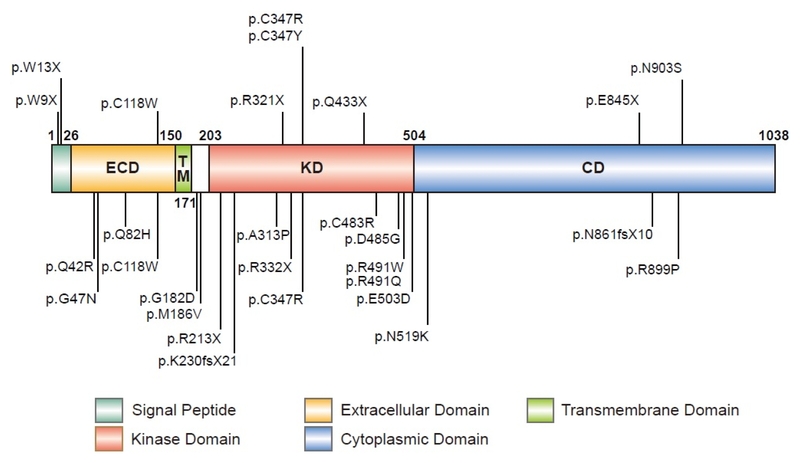 BMPR2 domains are indicated. Pathogenic BMPR2 mutations functionally validated in patient-derived cells are indicated above. Pathogenic BMPR2 mutations validated by in vitro functional assays are indicated below.